Zao Onsen, located in Yamagata City in the northeastern region of Tohoku, is one of Japan’s most famous tourist destinations. 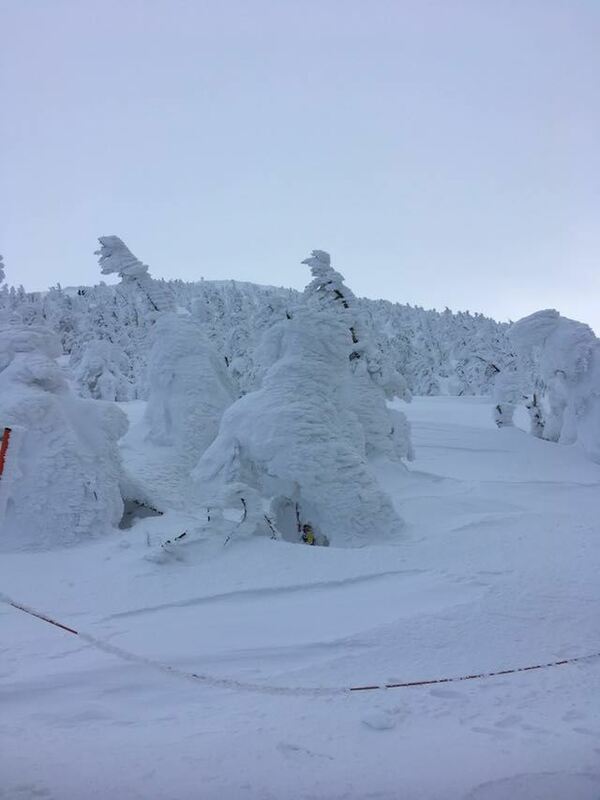 Zao Onsen is not only famous for its many hot springs, but also its ski slopes and snow monsters. 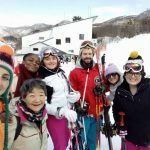 On the 20th of January, 25 JETs from across Block 2 gathered together for the second ski weekend hosted by Yamagata AJET. The mountain offers a variety of slopes ranging from beginner to more advance and a 45 degree Olympic slope — needless to say, no one was that brave! The day started off with a lot of skiing for many, but not all of the JETs went, as some decided to head out to the onsen or restaurants around the small town instead. The weather however, held up quite nicely and allowed for many people to visit the snow monsters without hesitation. 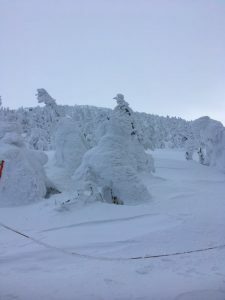 Zao is one of only a few places in Japan where juhyo, or “ice trees”, can be seen. The trees take on curious shapes due to the heavy snowfall and freezing winds. 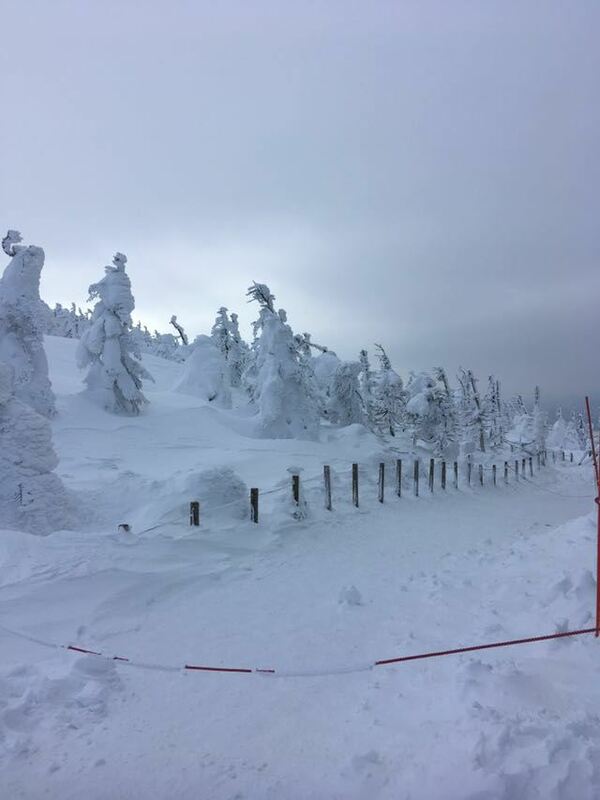 The snow monsters form around the peak of the Zao Ski Resort, which is accessible by ropeway. After the first day of skiing and running about town, everyone started checking into the hotel, where as some ran directly to the onsen to relax after a full day of skiing and to unwind before the enkai in the evening. Michelle Krüger is a first year JET from Pretoria, South Africa who currently resides in Shirakawa-shi in the Fukushima Prefecture. She is a qualified teacher and is currently furthering her studies in Augmentative and Alternative Communication as a part-time postgraduate student in order to help children and adults with special needs across the spectrum. Michelle has six dogs, one parrot, a hedgehog and a bearded dragon — unfortunately no lions. She has an immense love for people and nature and often finds herself out and about climbing some mountain or getting lost in the woods. Check out her adventures on Instagram @mich_kruger or on her blog. ← Yeah But Have You Heard Of… Kendo?